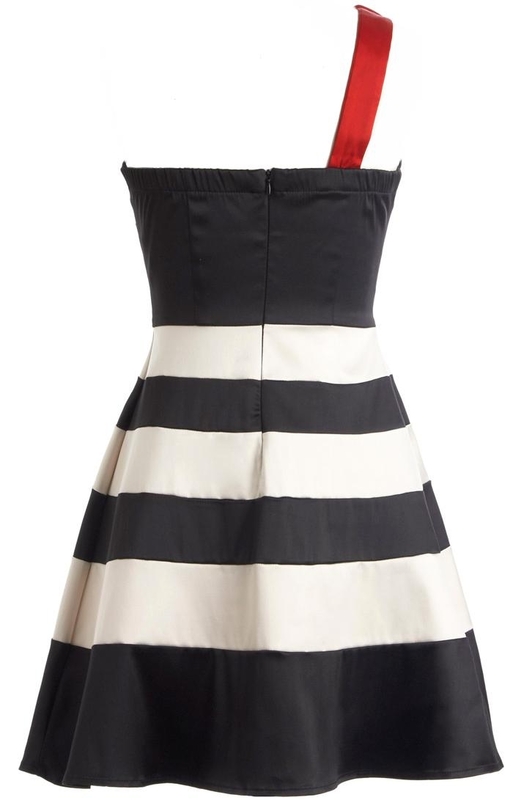 Browsing the net, I saw this beautiful Nautical Nostalgia Dress and I instantly fell in love with it’s very simple but elegant design. You can wear this dress whenever and wherever you wish to go. It can be worn during day time and will be great during night time event combined with a piece of beautiful accessories. 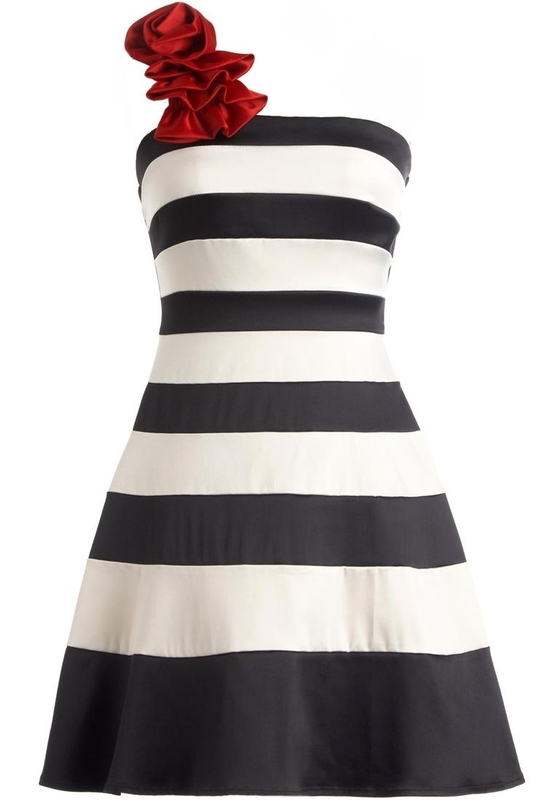 The dress features an elegant one-shoulder design accented with a vibrant crimson rosette, bold black and white stripes , a feel of 50’s era and a flexible banded back strap for a custom fit and a dramatic flared a-line silhouette finish. Color: Black + White. Shell: 55% Polyester, 42% Cotton, 3% Spandex. Lining: 100% Polyester. Dry clean recommended. Measures 35″ from shoulder to hem. This is a must have for every ladies wardrobe combined it with this beautiful criss-cross suede and your ready to glam.